First flew 7th June 1955. 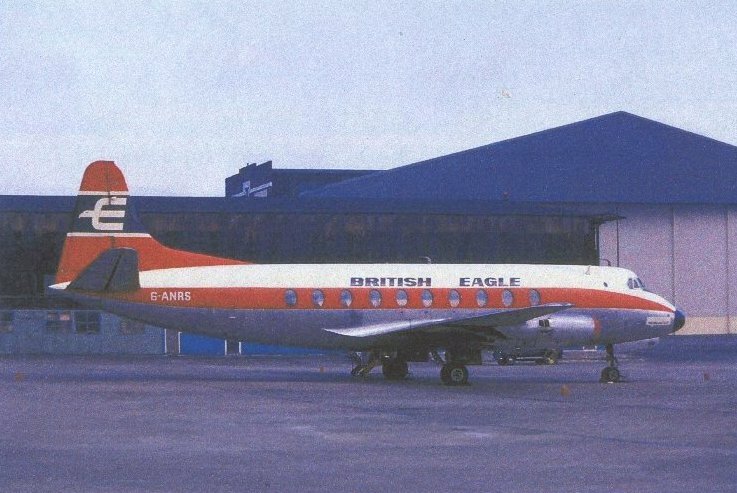 Purchased by British Eagle International Airlines Ltd from United Arab Airlines(ex SU-AKY) in March 1965. 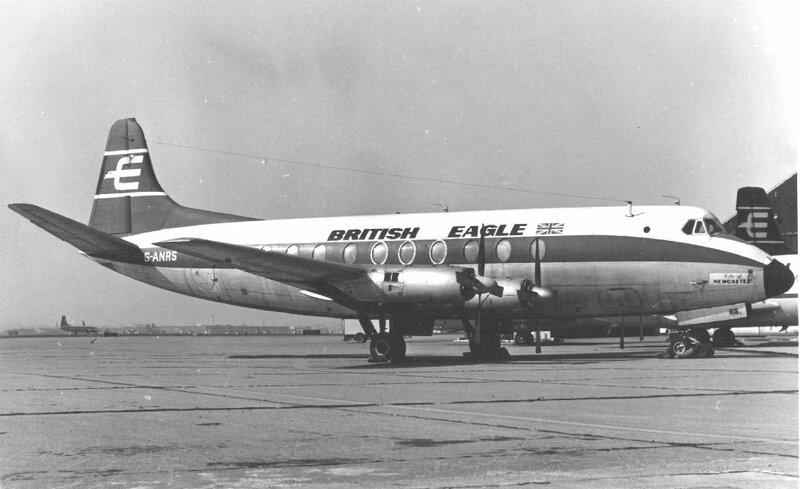 Sold to Cambrian Airways on the 10th July 1969. Withdrawn from use at Cardiff and used as a cabin crew trainer in July 1969. Delivered to the Cardiff Airport Firre Services in 1991.